Technology-savvy customers of today are using multiple devices and communication channels to engage with companies. In most contact centers, interaction channels are managed in silos. There are separate systems for routing interactions and tasks, and for workforce management. 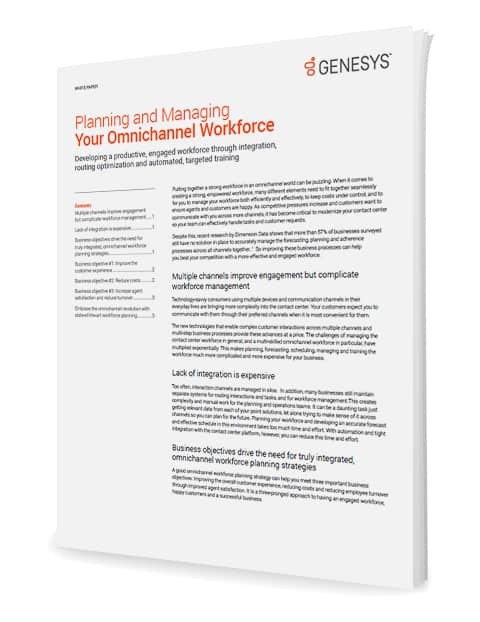 This creates complexity and manual work for workforce planning and operations.